On April 11, 1986, the bloody battle now known as the FBI Miami Shootout took place between serial bank robbers and FBI agents. At the end of the firefight, Special Agents Jerry Dove and Benjamin Grogan were dead and five other agents had been wounded. Grogan, in fact, was a well-known marksman, but lost his glasses during the fight. And although the agents took down the robbers, the price was far too high. When the analysis was concluded, the FBI wanted better firepower, and Smith and Wesson’s answer was the .40 S&W. And when it comes to .40 S&W, Blazer makes good rounds. They’re part of CCI, a company founded by Richard Speer more than 60 years ago, and they’re known for excellence. CCI’s plant is located in Lewiston, Idaho, right near the banks of the Snake River. And there, by the woods and water, quality ammunition has been manufactured for decades. 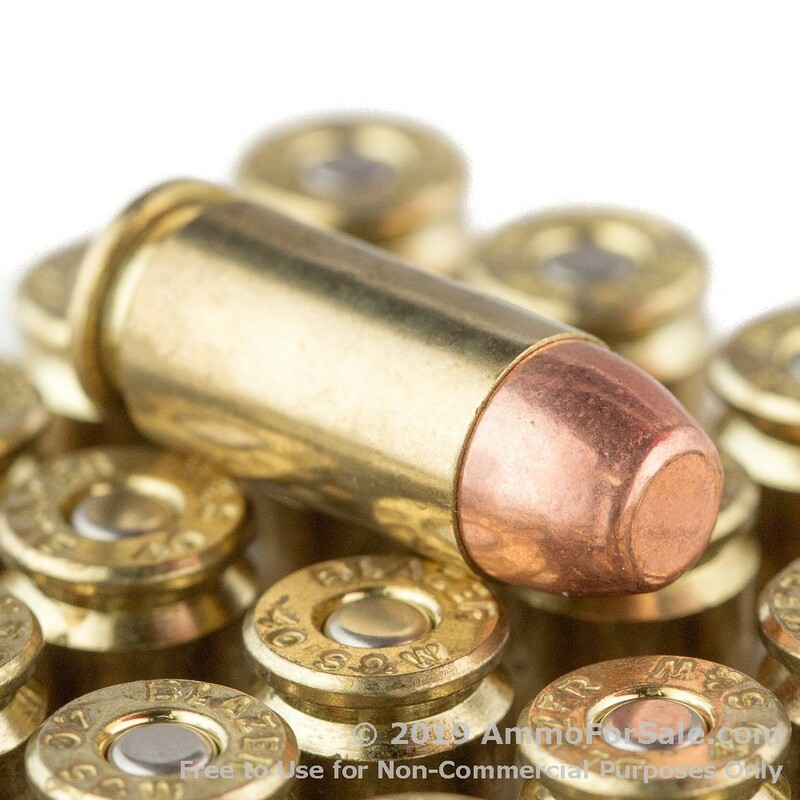 These are new production, non-corrosive rounds with fresh brass, boxer-primed cases. Once you burn through the box, you can collect your spent brass, reload, and hit the range again. 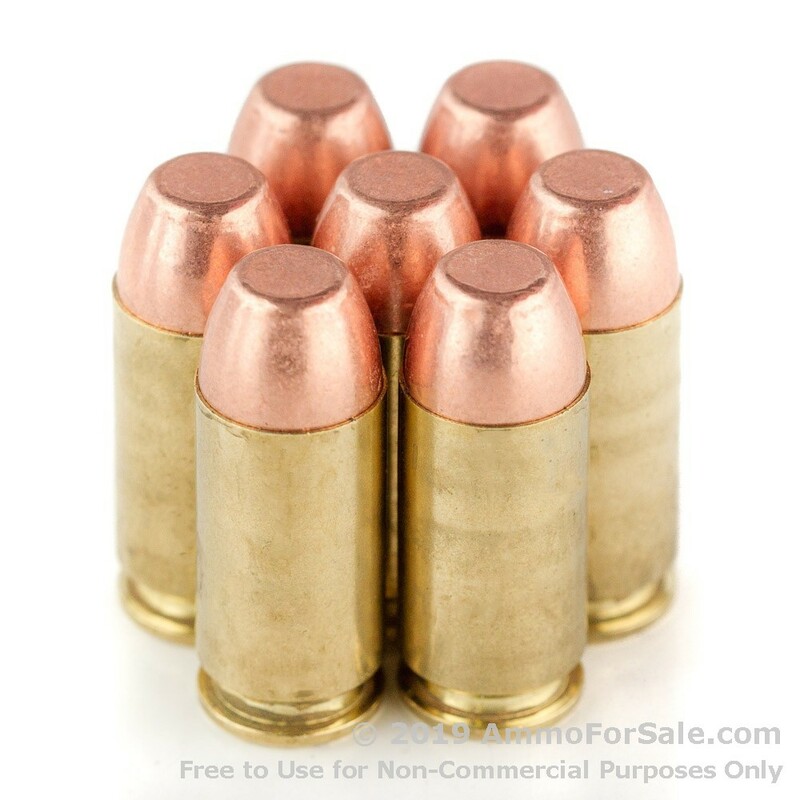 It’s nice to have some heft to your .40 S&W rounds, and at 180 grain, these are moderately heavy. Their greater weight better simulates the power of defense rounds, so it’s great for tactical training. They’re FMJ rounds, so they don’t expand and penetrate targets fully; they’re made for target practice and plinking. They have great muzzle velocity at 1,000 feet per second and hit hard with a muzzle energy of 400 foot-pounds. 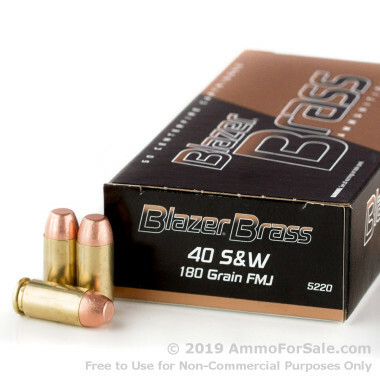 With 1,000 rounds in this box, you can keep your mags loaded and your gun firing for awhile. Get your order in and find out how CCI earned their reputation. I like it very accurate when you take your time to focus and aim small.